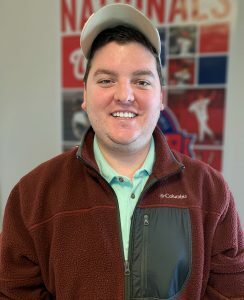 A New Bern native, Sam has been with 252 Radio since 2016. Sam has an affinity for building relationships with his clients that extend beyond their business and advertising needs…he wants to know them! His goal is to always find a marketing campaign that matches every client, no matter how big or small, or how unique. Sam is a passionate sports fan, and that is what drove him to 252 Radio! Sam is the co-host on our original ESPN program “The Drive with Mark Panichelli” and is also the play-by-play voice for our local high school sports coverage. Sam is an avid NC State Wolfpack supporter, as well as the Chicago Cubs and Philadelphia Eagles (he claims he isn’t a bandwagon fan). Give him a call today and let him begin building your business’s relationship with 252 Radio!